The whole concept of evaluation is closely linked with education and at the core of education is the student. Education is the child’s first formal contact with the written and spoken word. Evaluation is an assessment of how much of the written and spoken word has been absorbed by students, how it has influenced thinking, and how it has impacted their lives. Since in today’s world merely getting high marks is not enough, evaluation includes all kinds of intangibles that go into making up the whole child. This is directly based on the principles of No Child Left Behind where the original design was to make education a more holistic and inclusive process. Whether or not this has been accomplished, is an ongoing debate in education. The challenges for educators lie in deciding how to design tests and assessments keeping these parameters in mind. In the early years of a child’s education, evaluation has to be conducted in an atmosphere where there is no fear, and is, in fact an enabling atmosphere. This is to give children the confidence they need to approach something they do not know, read and study it, analyze it, and finally solve it. Evaluation has to clearly assess the understanding of the subject by the child. A standardized test is often not a measure of the child’s understanding or knowledge of the subject. In fact, it commonly has little to do with knowledge. It tends to be a skill, which is largely based on guesswork. Stress is a great factor that educators are up against. Both marks and grades cause stress in children. And yet, evaluation is a necessary process, for the simple reason, it helps identify the student’s misconceptions, whether the student has grasped the concepts in the lesson, the special requirements, and the areas that need attention. The curriculum can be constantly reviewed, updated, corrected, and made valid and relevant to the current situation. At the end of the day, the educator is responsible for the student’s all-round growth, and making full use of special gifts or potential. The teacher has to encourage students to think critically of ethical and moral issues that face their own sphere, society, state, country and the world. All evaluations have to be designed to achieve this end. Naturally, educators cannot do this in isolation. The parents have a major role to play. Instead of feeling that academic rigor is something negative, they need to sit with the educators and discuss their child’s abilities and potential in detail. This puts evaluation in the correct light. At all times, what has to be remembered is that the right kind of evaluation stretches the child as well as gives the child tasks to accomplish. Children, it must be remembered are amazing creatures, and a challenging educational system brings out their latent qualities and hidden strengths. But they have to be challenged. Evaluation helps in this. Otherwise, we have students who cannot and will not take the trouble to think, and become mentally lazy. This has far-reaching consequences and impacts on society and the country at large. The single greatest challenge facing educators is to match evaluation with knowledge acquired in a manner that fosters a love for learning, a curiosity for learning. The teacher has to ensure that students understand what they learn and it is not a just-for-the-test kind of knowledge, forgotten as soon as the evaluation is over. Evaluation focuses the child’s mind so that the child becomes a better learner. Evaluation has, therefore, one major role – to turn out students who learn to use their mind, want to use their mind, and enjoy using their mind. Naturally, the educator has to explain all the assessment criteria to the students in advance, and maybe even grill them in it before the actual evaluation. When students know what they are doing and are prepared for it, they will take part in the evaluation procedure with greater understanding. Students need contextualization at every point. That is the only way they will learn. For the educator, the challenge lies in keeping the learning goals and objectives in mind while planning the evaluation, so that diverse methods of evaluation are used in order to attain goals. 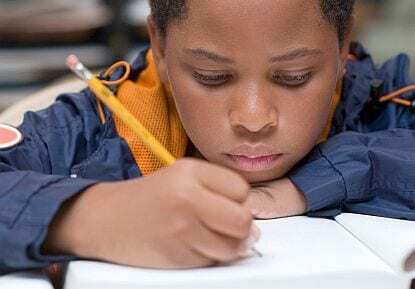 The role of student evaluation in the final analysis is to make the child assess what he/she is doing well, what can be done better, and the areas the student needs to work harder on. The student is learning to achieve standards. The greatest challenge facing evaluation techniques is their relevance, and validity.